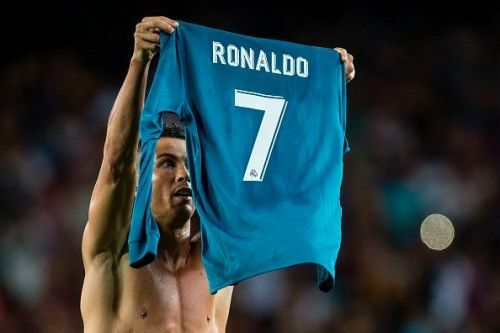 Who could continue Ronaldo's legacy with the number 7 jersey? It's official. Cristiano Ronaldo will continue his career at Juventus. Yesterday, Real Madrid announced that Ronaldo will no longer be their player. He is possibly the greatest player ever and surely one of the biggest legends of the club. In 9 years at The Santiago Bernabeu, Ronaldo scored 451 goals in 438 games in all competitions. He also won 4 Champions League titles, 2 La Liga titles and 2 Copa del Rey titles. Cristiano wanted to go. It's his decision and Real Madrid fans should not blame Florentino Perez for this move. He did the right thing. It's definitely the right time to revolutionize the team. Fans should be excited about the direction and possibilities of the club going forward. When he came to Madrid in 2009, Ronaldo took the number 9 jersey because Raul Gonzales Blanco was wearing the number 7 jersey at that time. The number 7 jersey was handed over to Cristiano during the 2010-11 season. Retiring the number 7 shirt is not a good idea. But Real Madrid should make sure to give this iconic number to a special player. But who should it be? Let's take a look at 5 candidates. Marco Asensio is the only player from Real Madrid's current squad on this list. In the past few days, Marco's agent confirmed that his client will stay with Real Madrid. Asensio is a fantastic player who is capable of winning the Ballon d'Or award in the future. He isn't just Real Madrid's future, he's a big part of the present. Real Madrid's new manager, Julen Lopetegui tends to work with young players and he will definitely build his system around players like Isco and Marco Asensio. 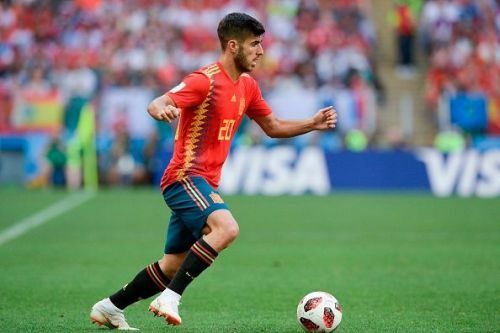 Asensio will actually fulfill his potential under Lopetegui because he'll be a guaranteed starter. Asensio is ready to become a Real Madrid star and a future Galactico. Giving the number 7 shirt to Asensio would demonstrate the tremendous faith the club has in him.